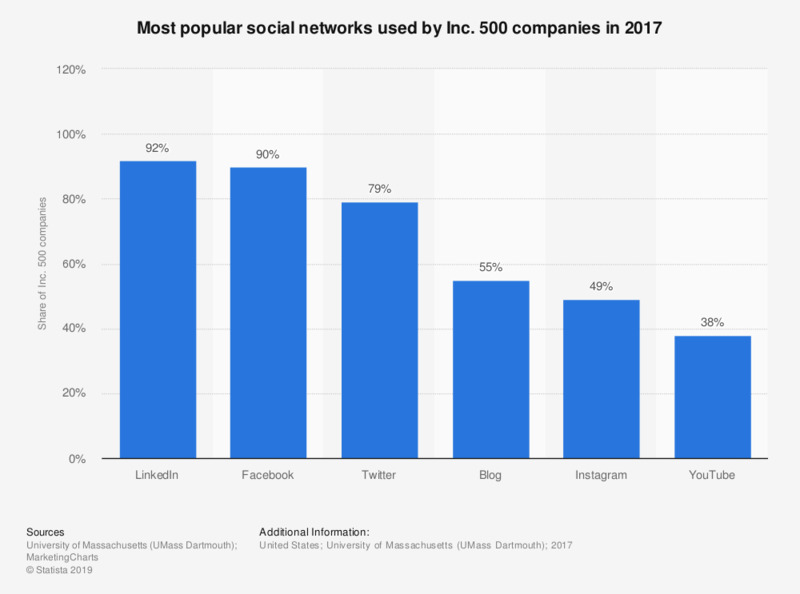 This statistic gives information on the most popular social networks used by Inc. 500 companies in 2017. During the measured period, it was found that 79 percent of Inc. 500 companies had an active Twitter account. A company was counted as having a presence on each platform studied if the primary corporation had an active account (activity within the past 30 days). What type of marketing technology does your company currently use?